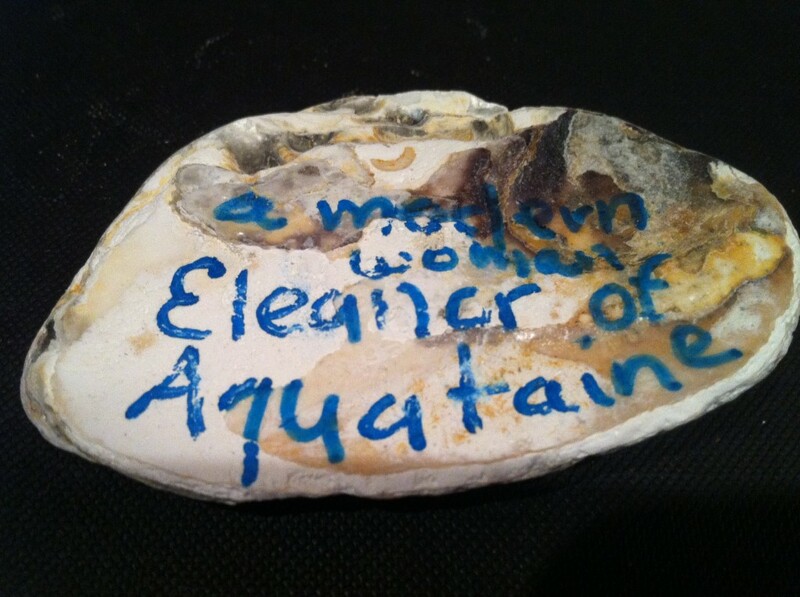 Home / Adviart Blog / A modern woman–Eleanor of Aquataine. 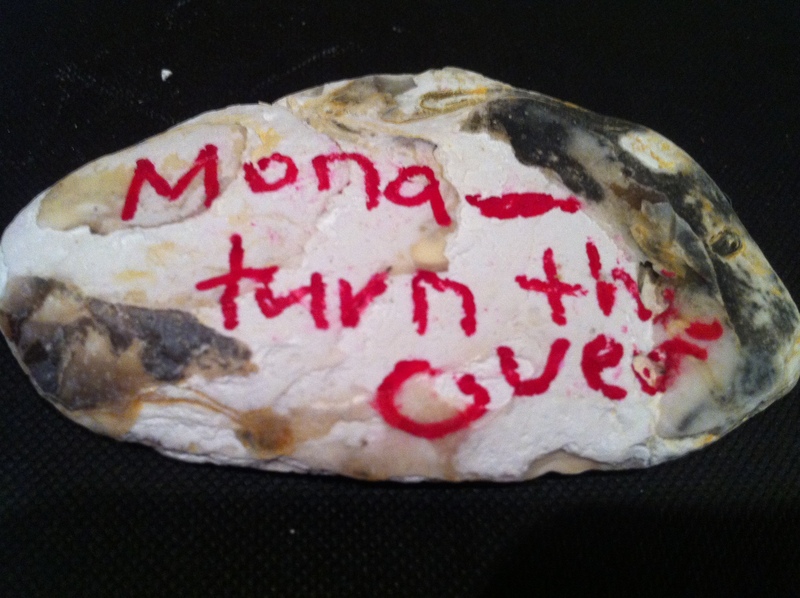 Mona–Turn this over. Part 1 of 2. Picked shell and wrote in red. Remember to read this–great example of a modern woman in history. Picked shell because she loves shells. First homework advice. Words only. Both sides of shell. Aqua to remind me of aquataine.